Many of us didn’t just stay in Wales. We emigrated to various parts of the world. Many of the original founders or the United States were Welsh. A wealthy Welsh lineage Tudor and relative of King Henry VII and Henry VIII, named William Penn was repaid a significant debt owed by King Charles II to his father Admiral Penn. Land was given to satisfy this obligation in which young William insisted that the land grant be named “New Wales”. 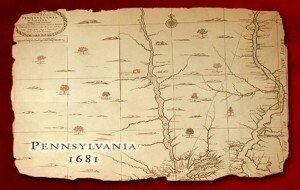 Contrary to popular belief, the “Pen” in Pennsylvania is actually derived from the Welsh word “pen” meaning “head” or “top”, and Sylvania or woodlands from Latin. Not surprising, Northeastern Pennsylvania became an enticement to Welsh speaking immigrants in the early 1800’s because of it’s rich natural resources such as agriculture, lumber, anthracite coal, slate, and the iron industry. The Welsh arrived without being marginalized not only because many spoke English additionally and they possessed the necessary skills and ability to help this great land grow and prosper.